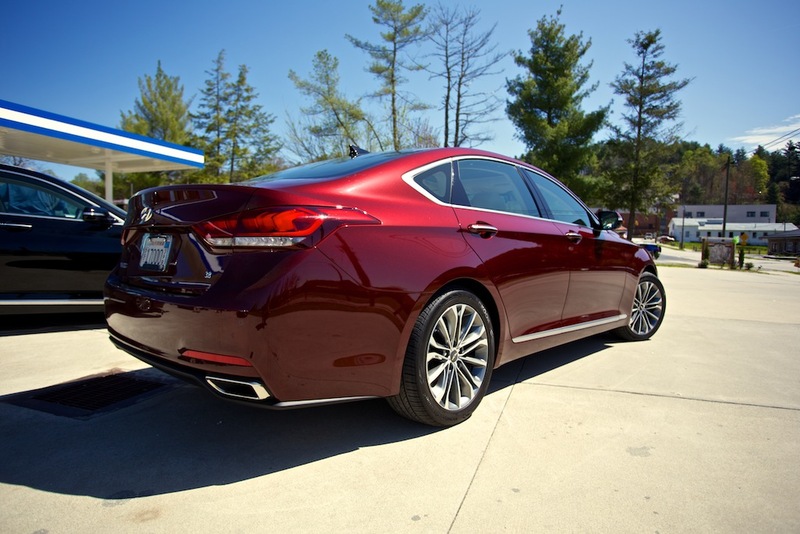 The 2015 Hyundai Genesis is miles from where the first generation started. This new car learned a lot, and it’s near the top of this segment. 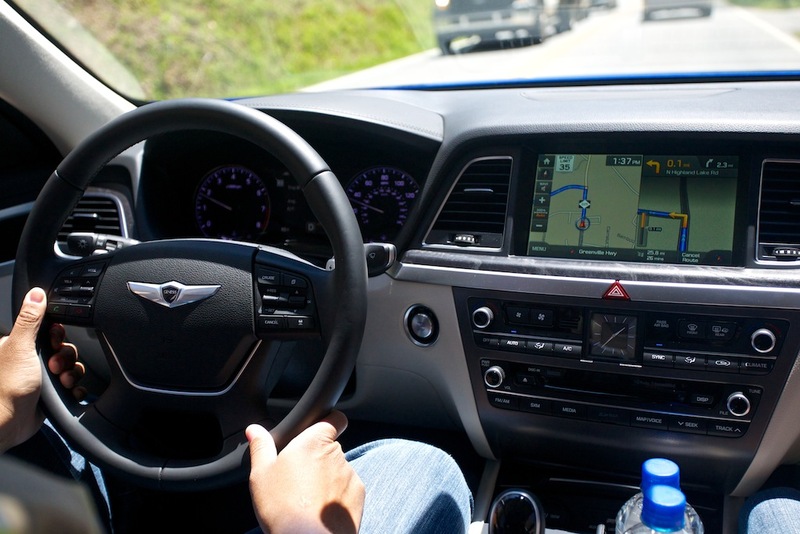 When you think Hyundai, what immediately comes to mind? Don’t worry, you can say it. 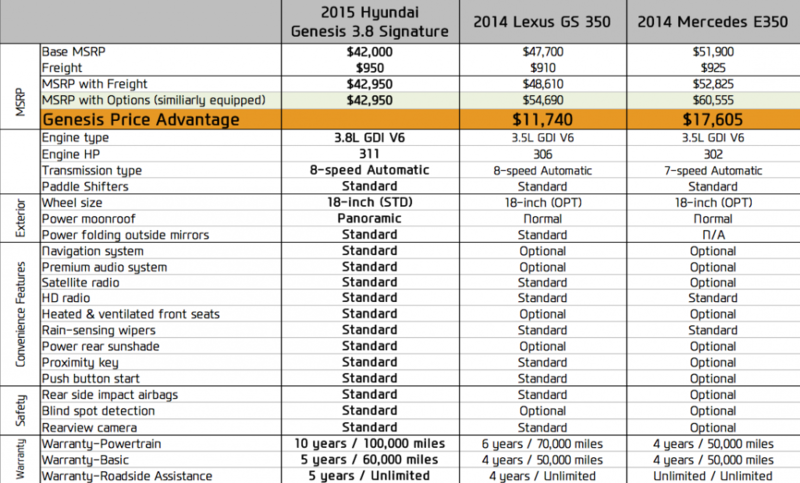 Yes, economy cars, a decent sporty little car in the Genesis Coupe, and then luxury cars? 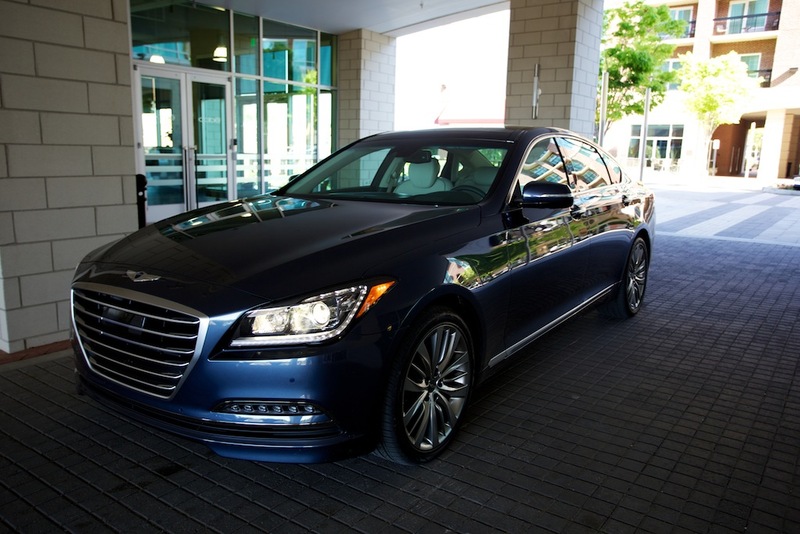 The Genesis and Equus have tried to change and adapt peoples’ opinions as to what luxury could actually cost you. 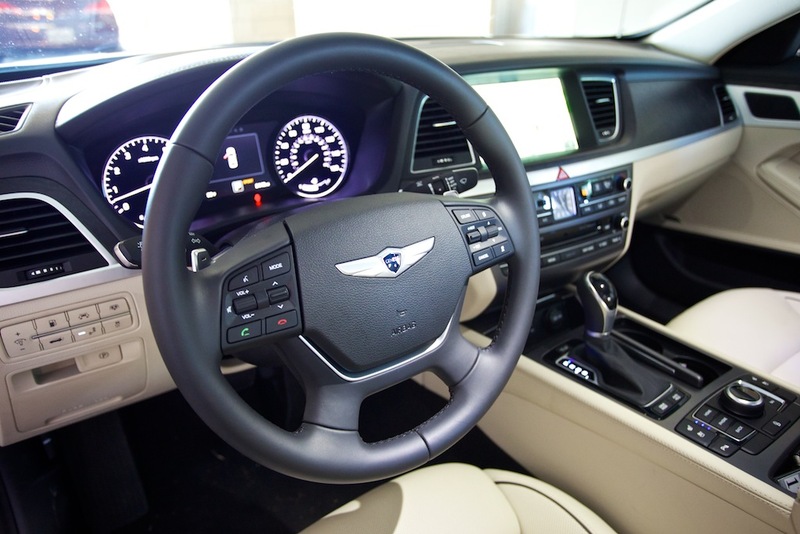 First it was the Genesis sedan with a decent job at helping people see that they could actually get a good amount of luxury with some mild fun for much less than what the Germans were charging. 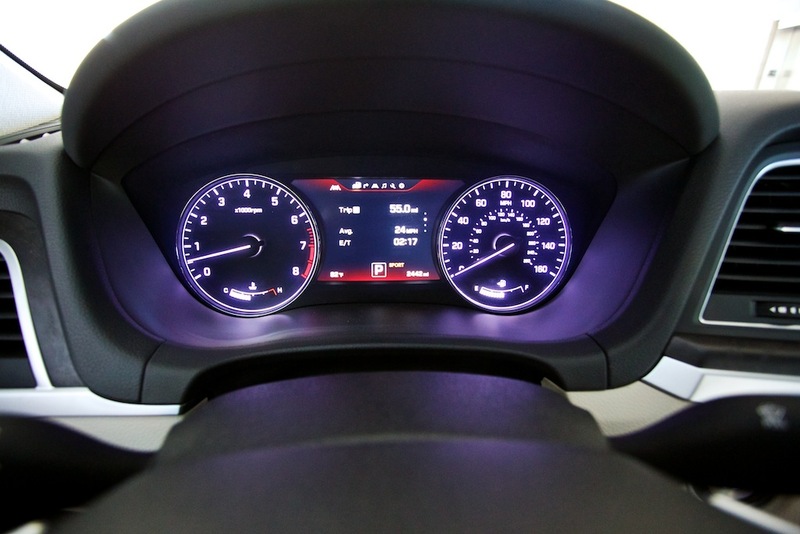 Then came the Equus. Now I’ve never actually driven that car, so it’s hard for me to personally comment on it. But the general consensus from my peers was that it wasn’t anything special to write home about. I’ll leave it at that. 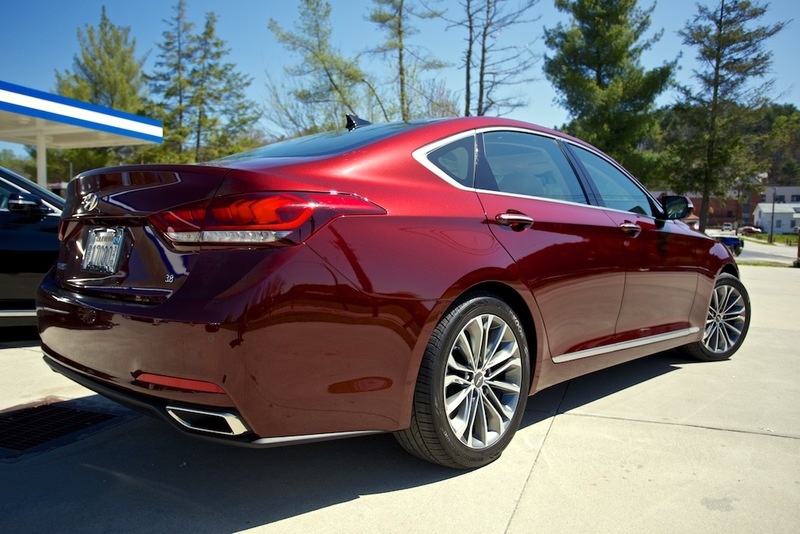 So when I saw the new second generation Genesis sedan in photos, I was intrigued. It seemed attractive, and maybe it really had some interesting features. But then I saw it in the flesh outside of the Westin hotel in downtown Greenville, SC last week. Yes, I’m name-dropping where I stayed so you know how important I am to Hyundai’s efforts at trying to get you to buy their new car. After seeing the car I was very interested in driving it around town and seeing just what the new fuss was all about. The price of the rear-wheel drive 3.8 that I tested was $49,950, and it was fully loaded, including the $950 destination fee. Gas mileage in the city and on the highway are 18/29, respectively, for the RWD. 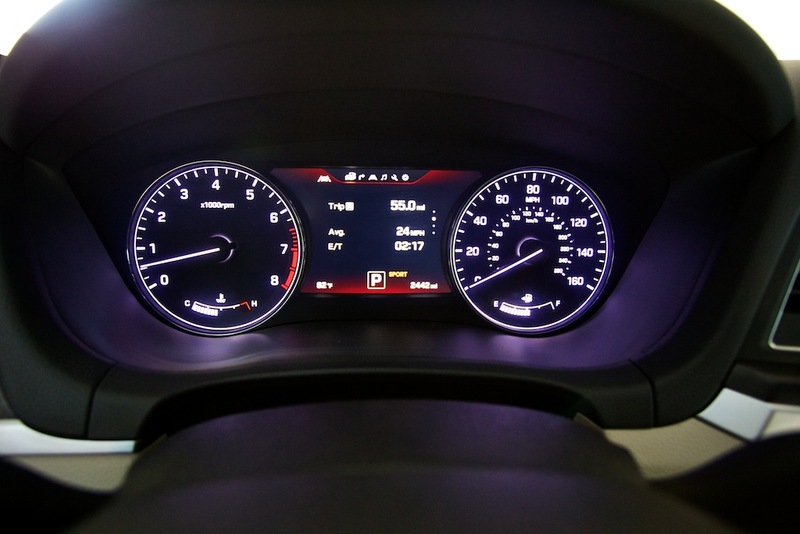 The AWD 3.8 has a rating of 16/25, respectively. 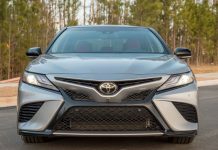 But is that too much to pay for a Hyundai Genesis with a 3.8-liter V6 that only puts out 311 horsepower and 293 lb-ft of torque? 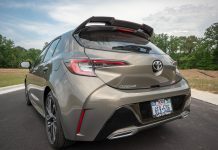 While the car has some thrust, it’s not by any means fast in a straight line, unlike most of the current crop of six-cylinder sedans these days. The Cadillac CTS and BMW 528i (the two main rivals I feel Hyundai should be gunning harder for) get to 60 mph much quicker. However, I can attest to one thing: the BMW doesn’t feel as good in the corners as the V6 does. 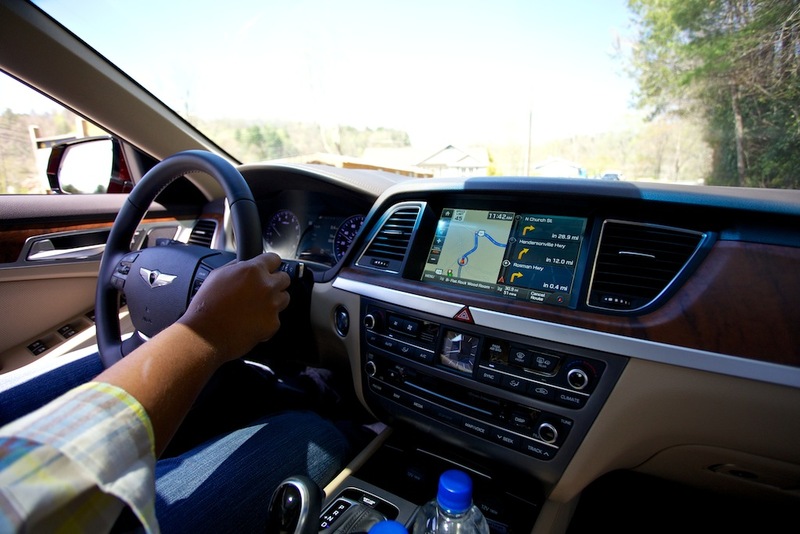 I wasn’t behind the wheel of the 3.8 Genesis when we did our first driving route around some of the best mountain roads in the state of North Carolina, but being on the right side of the back seat, I could feel everything with the suspension. 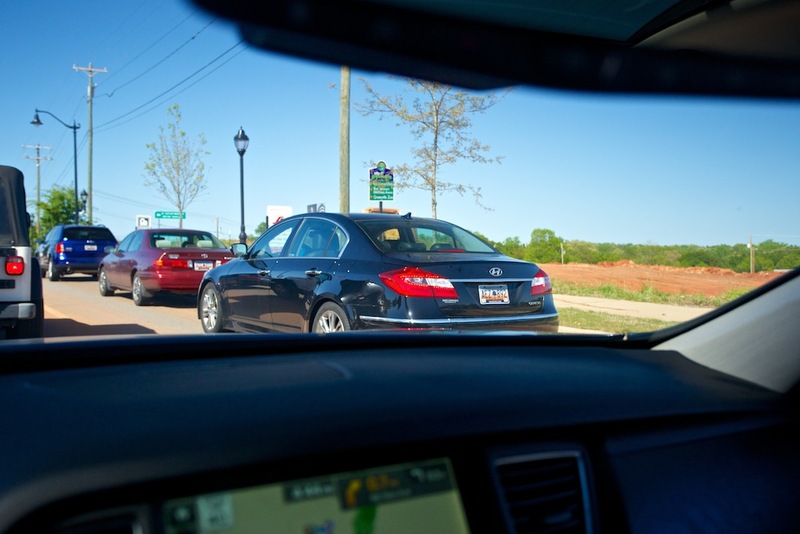 I believe I had the best seat in the house for one reason: I took the time to judge what I was feeling back there with the feedback I was getting from the other journalist driving the car. The 3.8 Genesis was unflappable around some of the tightest mountain roads I’ve ever been on. Now I have actually been on the exact same route with my personal car, an ’09 E90 M3 that I owned a few years ago. 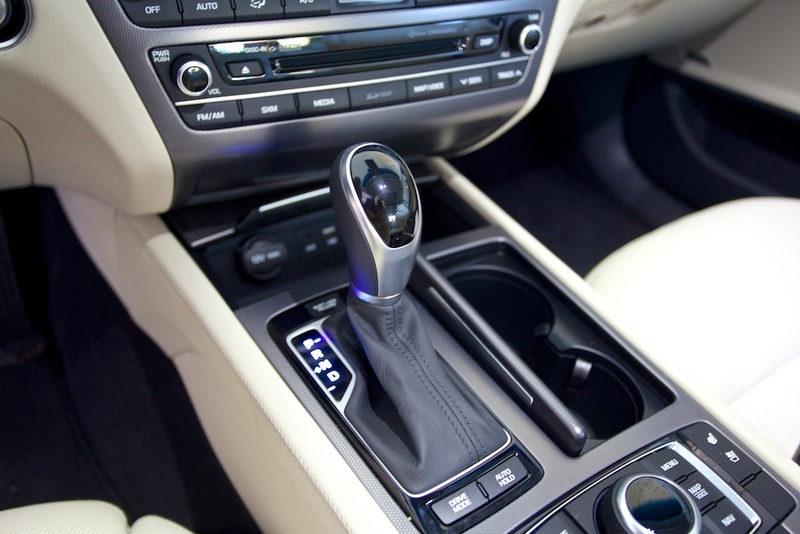 These roads can expose a chassis’ limits very quickly, as well as tire grip and too little torque in the wrong gear. 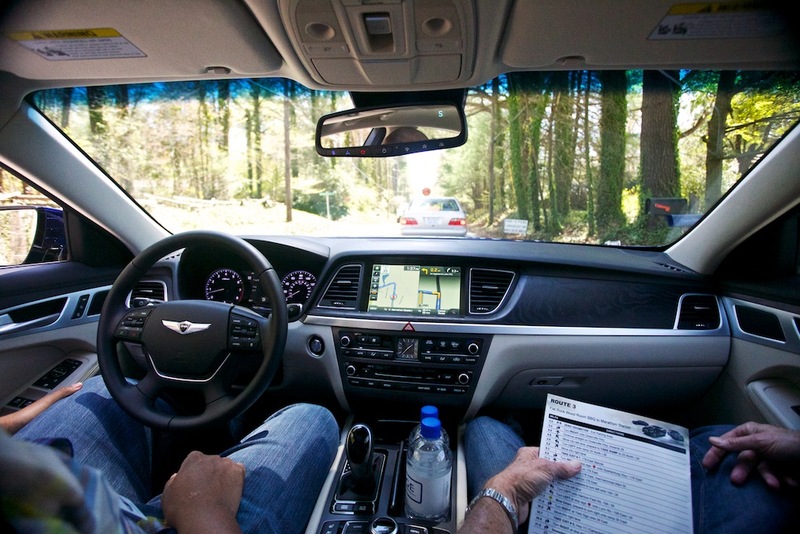 The V6 Genesis was, surprisingly, quite brilliant on roads that would force most sports cars to sweat, seeing as which you’re either dropping off a sheer cliff, or running into a wall of boulders and mountain. From the rear seat I could feel the suspension loading up nicely, the balance of the near-50/50 weight split aiding in the control of the vehicle around hairy corners. 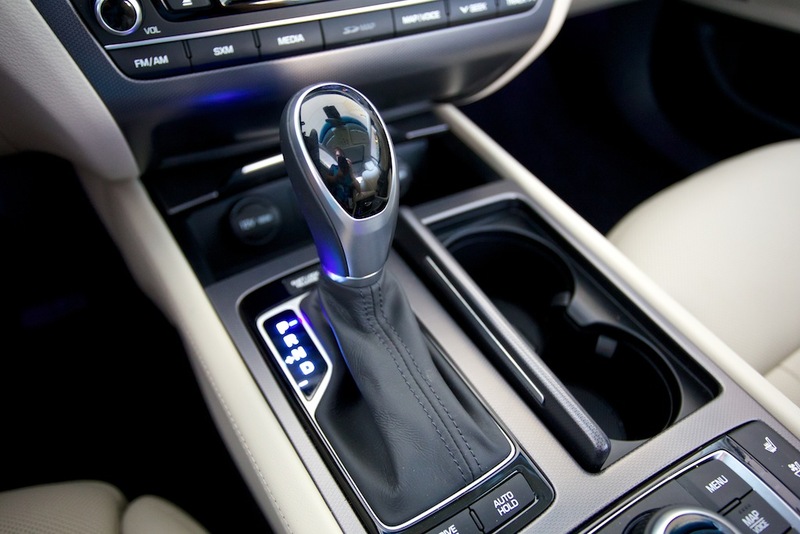 The power and torgue of the motor, so long as you stayed in third gear, brought the car the right amount of pleasure in the middle of the revs. The car gripped perfectly, with never an instance of too much power being thrown to the rear wheels. The balance was all there. 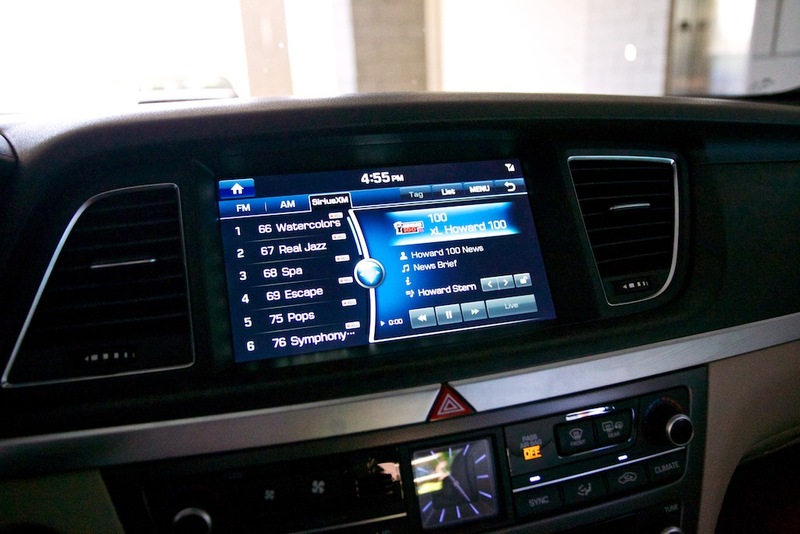 How’d a company like Hyundai do this? 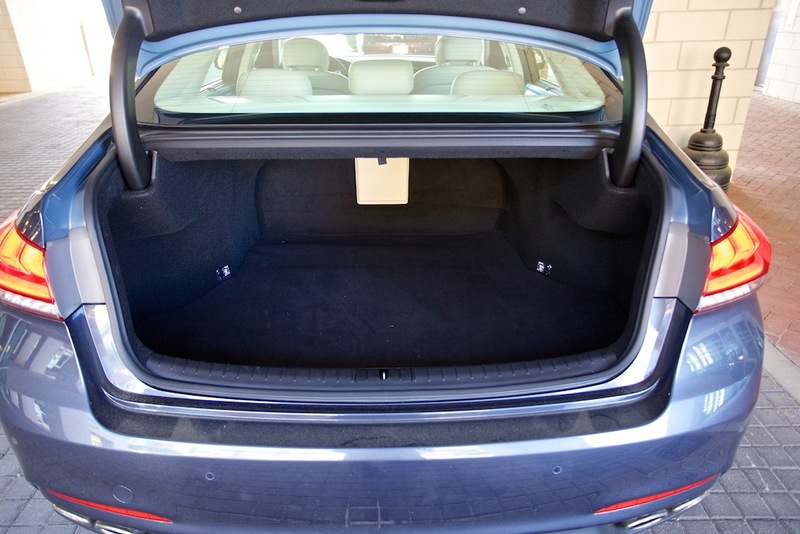 Not to say they don’t make good cars, because they do, but this was precision on a German level in a sedan built for five. At the first stop before we started route two, I asked Ricky Lao, the product manager, point blank, “Who the hell worked on that chassis? Because they deserve a raise.” His answer was quick, “Well thanks; yeah, that was a lot of Matt Becker from Lotus helping us out.” Now Lotus didn’t design nor engineer any part of the car. Instead they were a third party consultant on the matter. 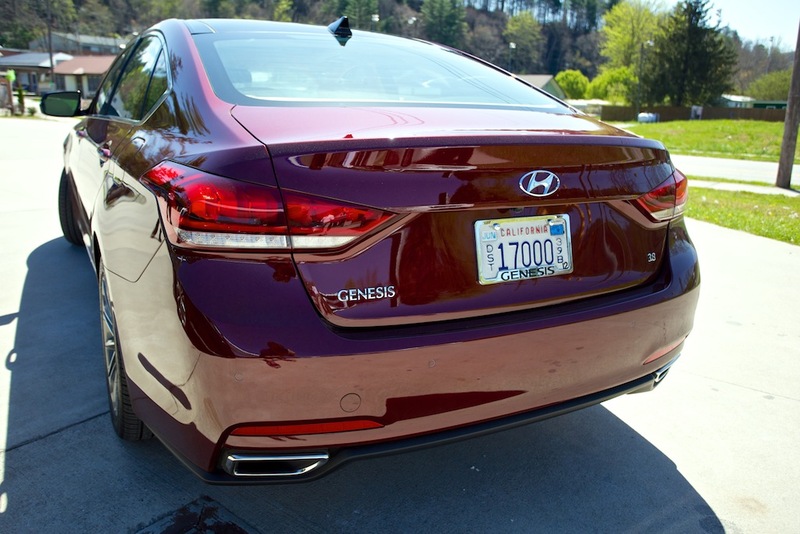 Not to bore you, I’ll just say this: Hyundai are really good at listening and fine tuning… because the 2015 Genesis is damn near perfect under the skin. 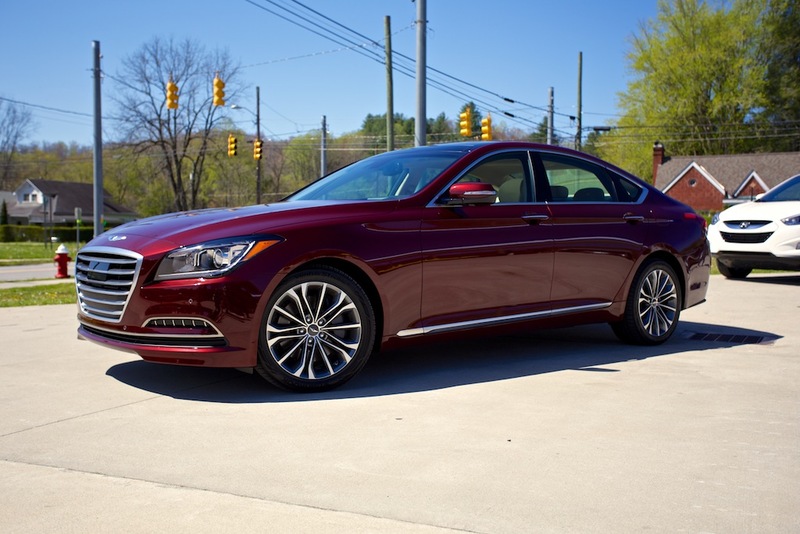 The 5.0-liter V8 2015 Genesis starts its life at just $51,500, not including destination, only comes in rear-wheel drive (although I heard all-wheel drive was a potential possibility being looked at), and gets 15 mpg city and 23 mpg highway, respectively. My tester was the full Ultimate package at $55,700, including destination. Now while I didn’t get to drive the 5.0 Genesis on any roads as challenging as we did with the 3.8, there were some beautiful mountain roads that had tight corners and longer, faster sweepers. 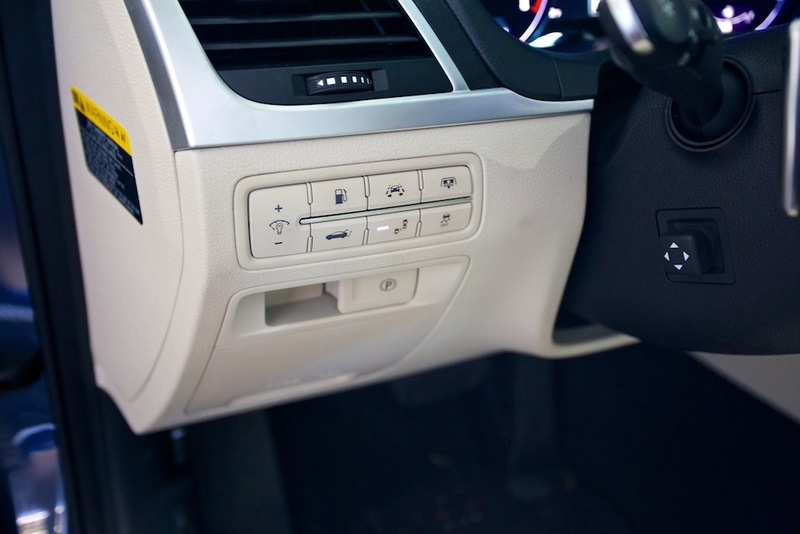 The V8 Genesis benefits from active dampers, which you can feel working from anywhere in the car, especially the back seat. The car itself leaves little to be desired, outside of a little extra grunt from that 5.0-liter motor. 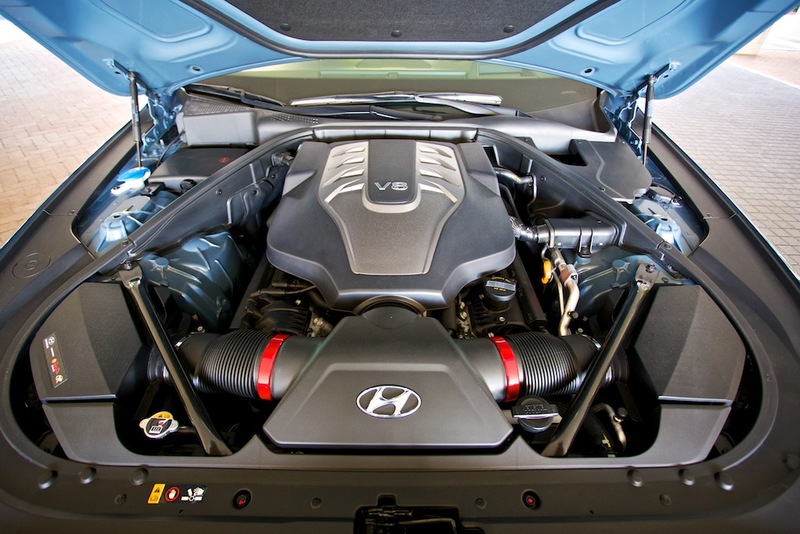 Even with 420 horsepower and 383 lb-ft of torque, you can tell the V8 Genesis is no slouch… but it’s not going to win any drag strip battles against the 535i, 550i, A6, or the CTS V-Sport. Interestingly, though, the car feels quicker in a straight line in any seat but the driver’s. Which leads me to believe there’s a little disconnect from behind the wheel. 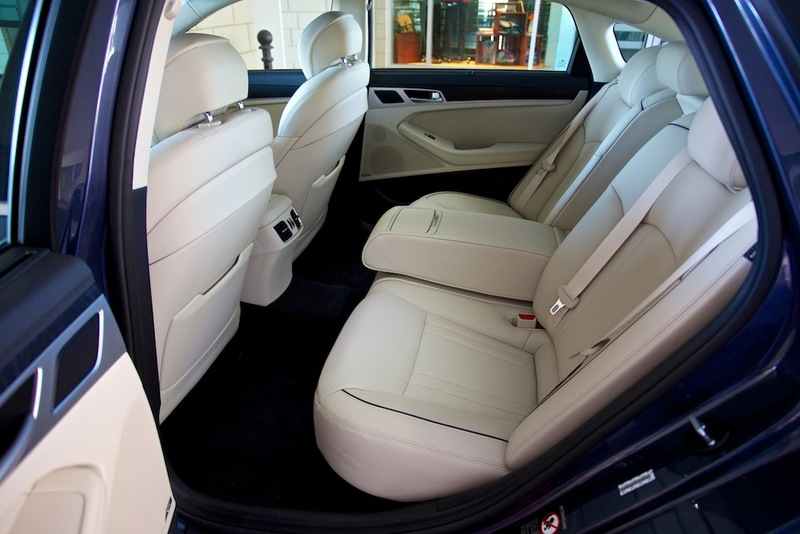 For instance, you’re able to slide the 5.0 Genesis happily in a controlled manner, but I didn’t feel it as much as my colleague in the back seat did. Now it’s normal to feel more from the place where the car is sliding, but I hardly felt any of the slide, which saddened me. But that being said, I knew what the car was doing and felt no lack of control. 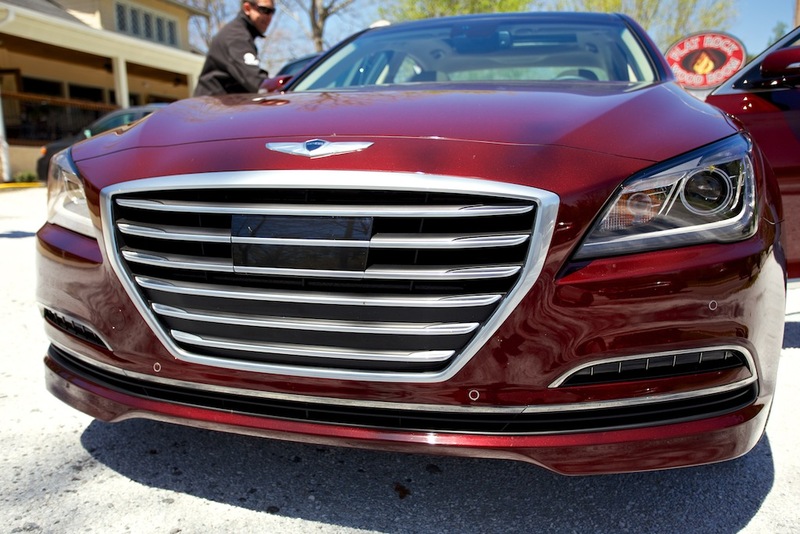 I was also pleasantly surprised that you can, in fact, do a burnout in the 2015 Genesis. Typically with an automatic sedan of this size, the torque converter just kills any fun as not to burn anything out. But, if you let go of the brake a little bit while you’re holding the accelerator, you can indeed start to induce some nice wheel spin. I only did this twice while driving the car… I swear. Okay, maybe three times, just to see if it would do it. But it does. I didn’t do a massive burnout, just the start of one to prove to myself that it could be done. The V8 is more comfortable than the V6 because of its active dampers, but I was surprised that I didn’t think the 3.8 was a slouch in any department when compared to the 5.0. Usually once you’ve driven the best of the breed, you want nothing to do with the lesser versions. In this case, that’s not true. 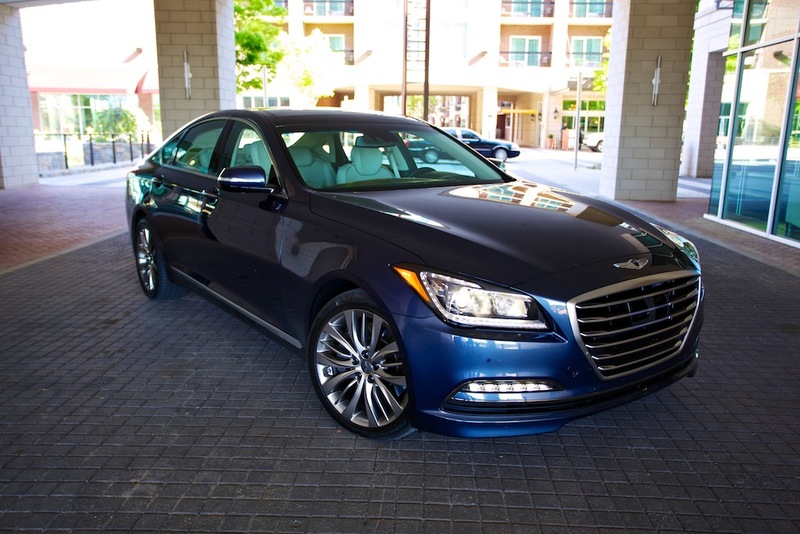 The 3.8 Genesis feels lighter at the front, wherein you can place the front wheels a little more quickly and accurately, and the rear feels more planted because it has less power being thrown in that direction. However, the 5.0 becomes more fun once you start learning how to use that power wisely and enjoy the meaty torque from lower down in the revs. Anything you do is a lot of fun in both engine variants of the Genesis. And that’s not something you can really say about many cars in this world that aren’t of an exotic form. 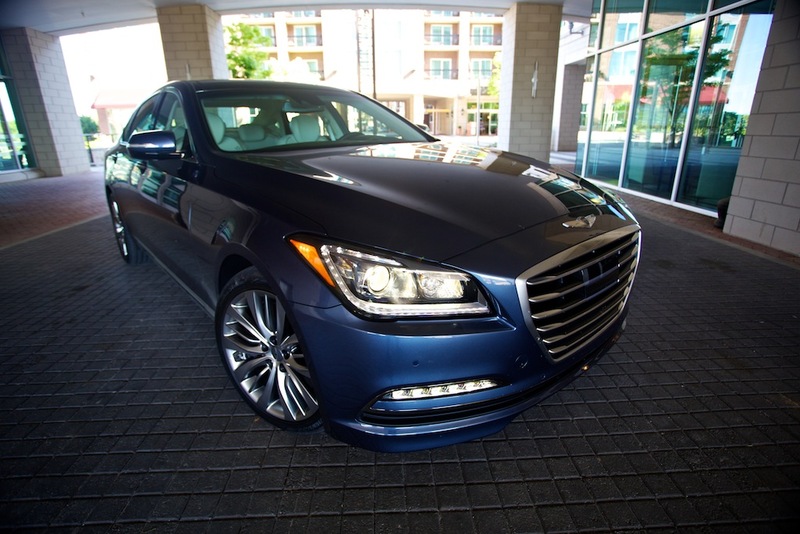 If you look at the above charts, you’ll see that the 2015 Hyundai Genesis is a real winner in terms of price, amenities, and size. 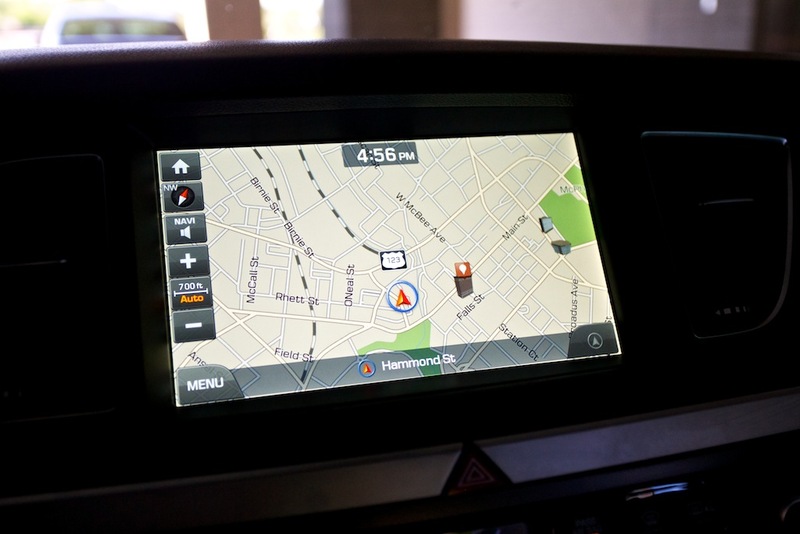 However, the real message is received on how hard everyone worked on this product when you sit anywhere in the car. 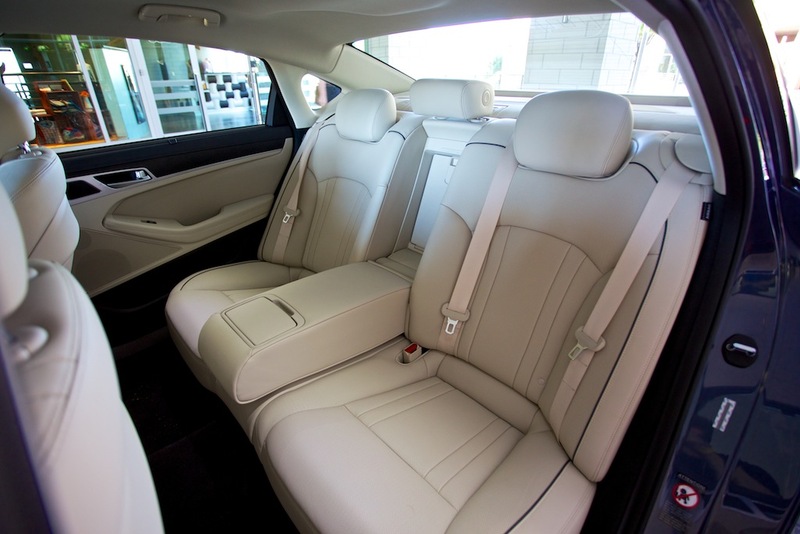 Just sit in the premium leather seats and feel the most comfortable headrest this side of a Rolls-Royce. 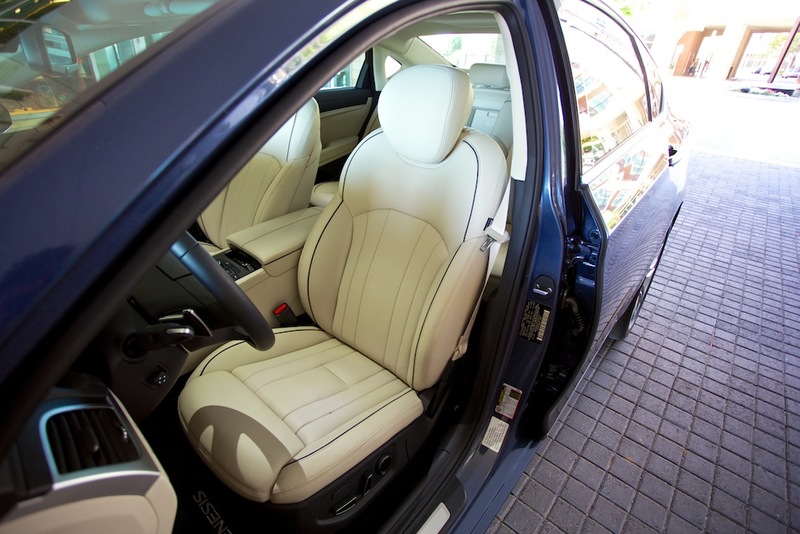 Or get into the driver’s seat and think, “Hmm, could use a little more bolstering…”, until you get to a tight, hard corner and notice the seat holds you like a BMW of old. 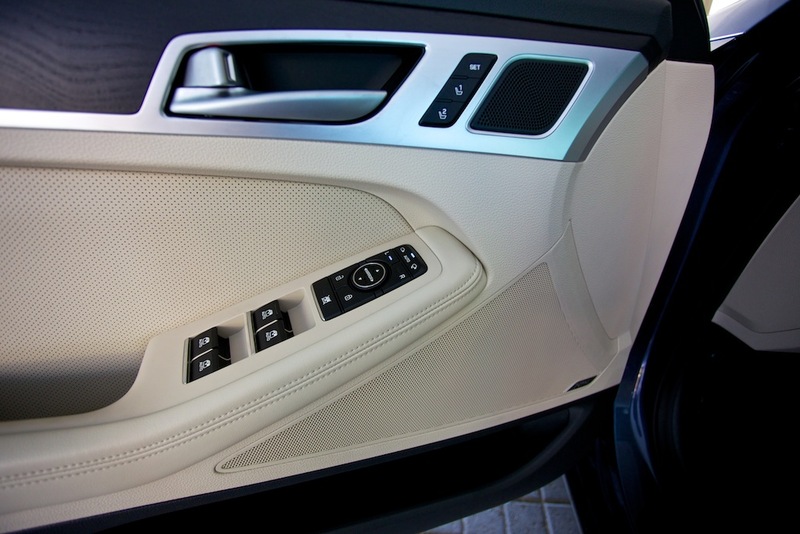 Maybe you could look around the cabin to see some of the Mercedes-Benz-like quality of the materials in here. Sure there are a few places where I wasn’t wowed, including the clock and the faux-carbon fiber/aluminum trim around the gearshift. 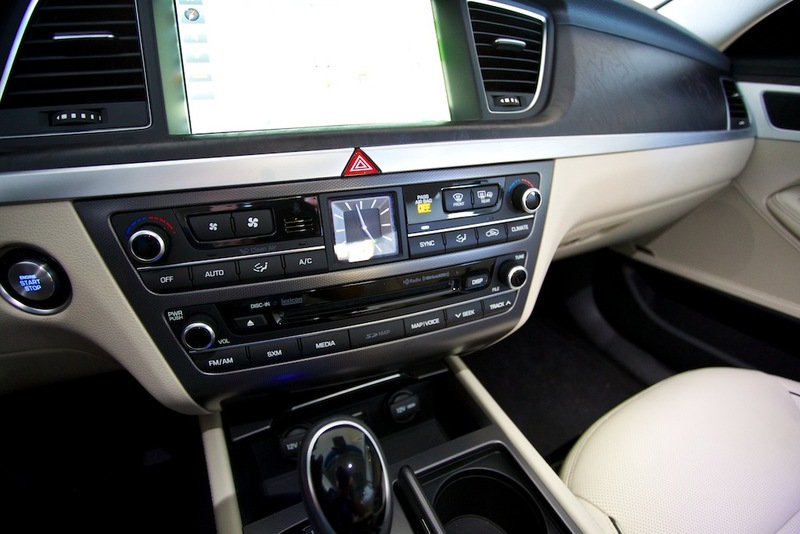 But then you drive the car and forget about that, because the navigation is beautiful, with an eye-popping 8-inch display with a 720p screen. 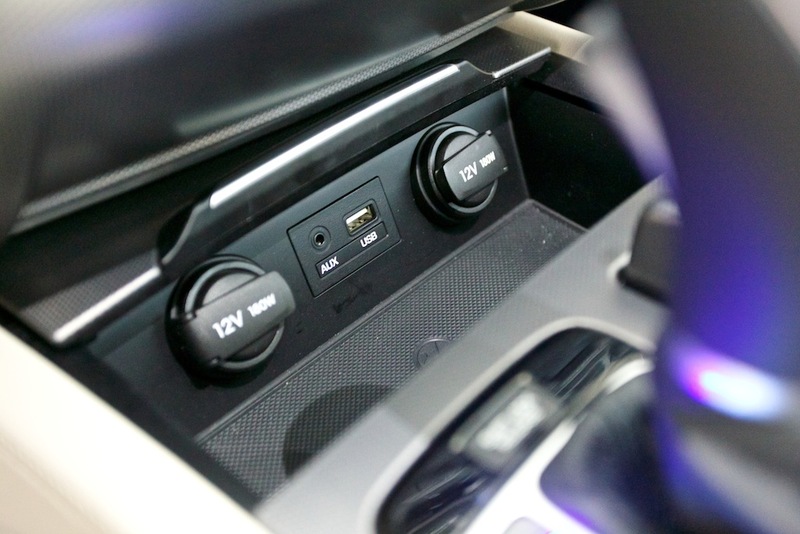 But my favorite part, by far, was feeling the car being comfortable in Normal, Sport and Eco modes, but still being sporty in Normal, and very comfortable in Sport. It’s been a long time since I’ve driven a sedan I wanted to take home and put in my garage. That car was the E90 BMW M3. It had a manual gearbox and had all that I needed at that time. 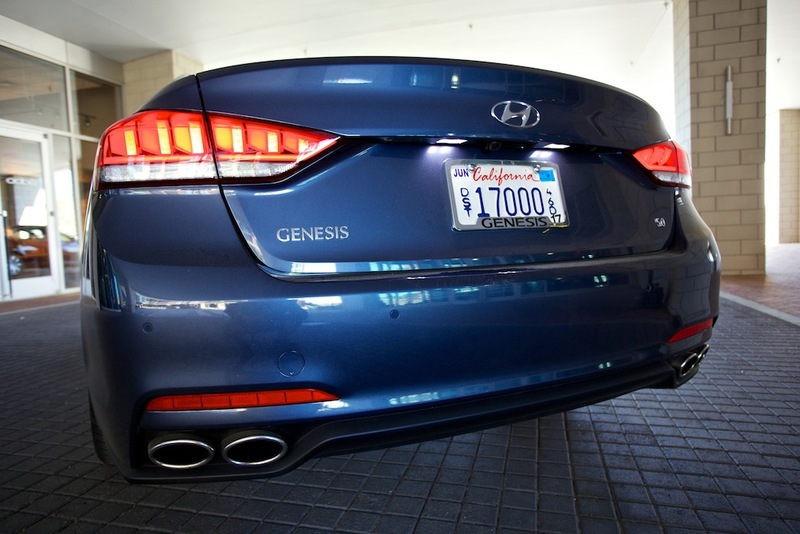 If this Genesis had a manual gearbox, it would be in my garage right now, no questions asked. Congratulations, Hyundai, you’ve won me over. 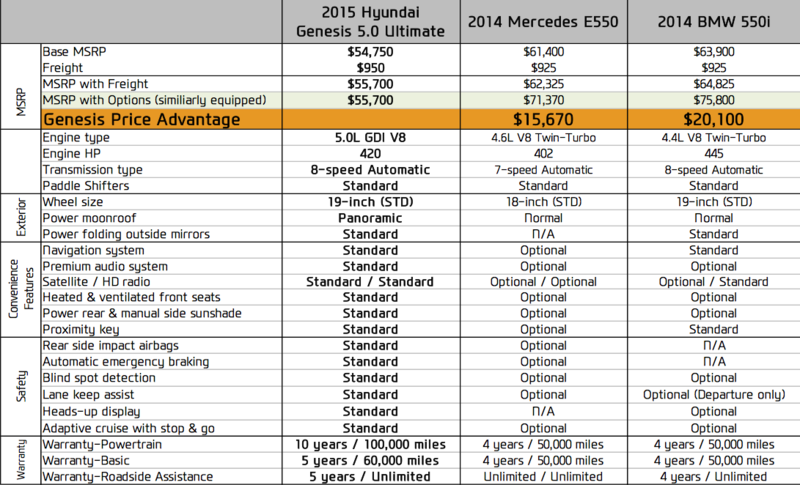 You heard it here first: the 2015 Hyundai Genesis is better than the F10 BMW 5-Series.